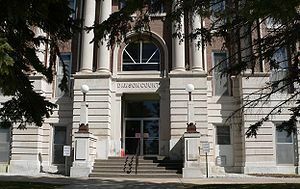 Dawson County Courthouse « Hercules and the umpire. What Congress is intentionally doing these days poses an existential threat to the federal judiciary, not to mention our beloved Nation. That is not an exaggeration. As I obsess about the madness in Washington, and looking for some solace, my thoughts turn nostalgic. I fondly recall practicing law in Lexington, a small Nebraska county seat town served by excellent lawyers and judges who were even better human beings. Here are some photos showing the solidity of the past that now give me some faint hope for the future. I have no idea why this is so except to say that the mind works in mysterious ways. 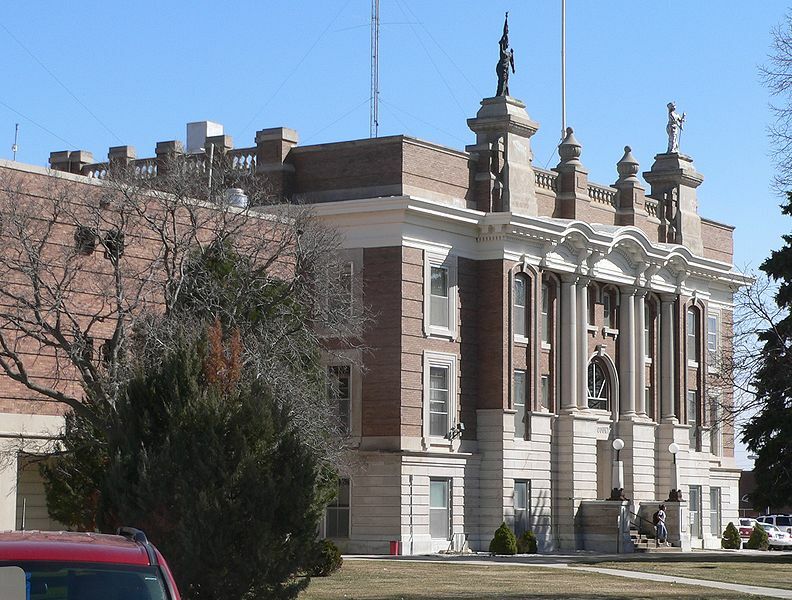 The Dawson County Courthouse in Lexington, Nebraska is a two story redbrick courthouse building set on a raised basement of Bedford limestone which in turn is set upon a base of marble from Carthage, Missouri. It was designed by William F. Gernandt in the Beaux Arts style of architecture. In 2013, the structure turns 100 years old. The courthouse and the entire block it sits on is registered with the National Register of Historic Places. Photo credit (for this image and the following images in this post) Ammodramus per Wikimedia Commons license. 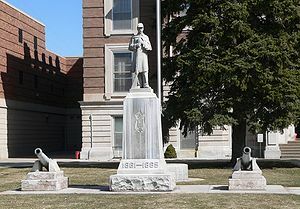 Civil War memorial to the Grand Army of the Republic in front (west) of the Dawson County Courthouse in Lexington, Nebraska. West (main) entrance of Dawson County Courthouse. I must have walked up those steps and through the doors more than a thousand times.